A super PAC closely linked to Paul Manafort is facing FEC scrutiny over why it failed to report a $1 million contribution received just before the 2016 presidential election. 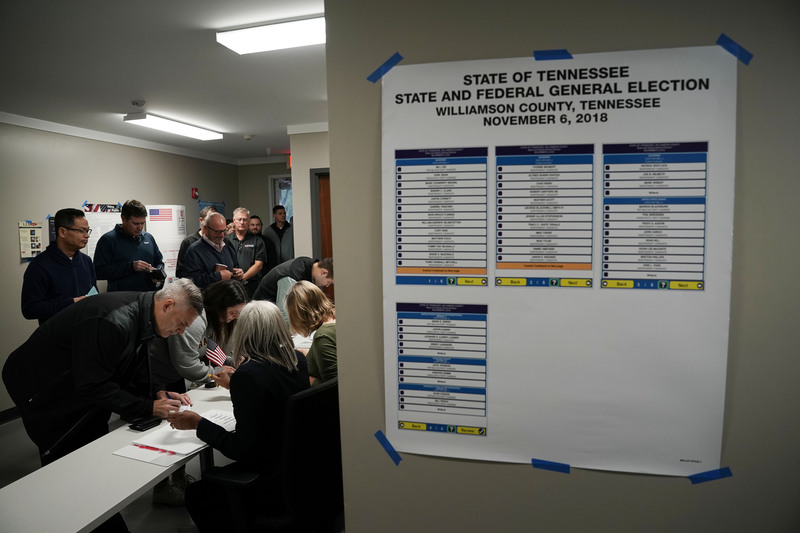 In a Tuesday letter, the Federal Election Commission asked the Rebuilding America Now PAC for more information about the contribution, which the PAC first disclosed in an amended report in November 2018—some two years after the fact. The FEC letter raises new questions about the murky financial operations of the PAC, which was operated by two Manafort deputies. Special counsel Robert Mueller is reportedly investigating whether Rebuilding America Now illegally received foreign funds and was connected to a scheme that Manafort allegedly lied about while purportedly cooperating with Mueller. Noble added that the PAC would have had to reconcile its bank statements at the end of each year, and it was unclear why that would not have triggered an amended filing to the FEC. “Please amend your report or provide clarifying information as to why this activity was not disclosed on your original report,” the FEC wrote in the letter to the PAC. The PAC did not respond to TPM’s request for comment, nor did Manafort or Geoffrey Palmer, the Los Angeles real estate donor whose $1 million contribution shows up on the PAC’s amended report but was not reported on its original FEC report. The amended filing shows that the $1 million was apparently not spent before or immediately after the election. The amendment changed the total amount left in the PAC’s accounts at the end of the reporting period on November 28, 2016 from $47,136 to $1,047,136. After TPM published this piece, Fischer pointed out that the PAC reported the $1 million as additional cash on hand in a later FEC report, but with no corresponding contribution reported. He also noted that the FEC inquired about the discrepancy in March 2017, but apparently didn’t follow up. “This doesn’t resolve the big questions, but it is important to note that the money was actually deposited and spent,” Fischer said. Palmer, a longtime GOP donor who gave millions to the Trump campaign, made the contribution in question on Oct. 31, 2016, according to the amended FEC report. FEC records show that Palmer contributed a total of $6 million to Rebuilding America Now after the amendment was filed during the 2016 election cycle. The other $5 million had been reported before the PAC filed the amendment. The PAC filed the amendment on Nov. 2, 2018, around the time Manafort’s plea deal with the government was coming apart. Mueller first indicated in a court filing one month later that a $125,000 payment tied to the PAC was one of the alleged lies that Manafort told prosecutors that caused them to terminate the plea deal. The filing stated that prosecutors were grilling the former Trump campaign chairman about it in October 2018. Six days after the PAC issued the amendment – on Nov. 8 – the government “informed defense counsel that it believed that Manafort had lied in multiple ways and on multiple occasions,” Mueller’s team said in a court filing. Prosecutors have said that Manafort listed the $125,000 payment as income received in June 2017 on his tax return. While Mueller’s prosecutors haven’t named the PAC in the case, they have sketched out in some detail how they unraveled the alleged scheme. The payment allegedly went to cover a debt that Manafort had to a law firm, through an unknown legal entity that had done work for the PAC. Prosecutors say that a “commission” agreement existed between the entity and the PAC by which the entity would get a 6 percent commission whenever the PAC used it as a vendor. As prosecutors continued to press Manafort about the payment, he purportedly changed his story. The government says that a Manafort representative sent his tax preparer an email in October 2018 saying that the payment was, in fact, a loan, and that Manafort produced a “promissory note” during his questioning that prosecutors could find no record of previously existing. The PAC was born in the summer of 2016, and quickly became the official outside ally of the campaign, as Politico reported at the time. Trump, who had railed against big-money donations during the primaries, was officially the nominee but remained strapped for cash. Investor and Trump backer Tom Barrack spearheaded fundraising for the PAC, while Manafort dispatched two allies, Ken McKay and Laurence Gay, to run the PAC’s operations. 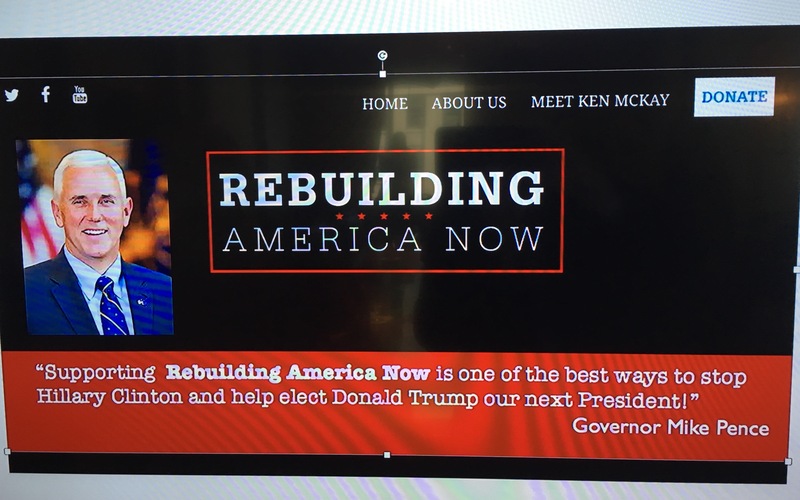 Ignoring the 120-day cooling-off period required by campaign finance law, Gay and McKay went directly to Rebuilding America Now from the Trump campaign. Further blurring the legal lines prohibiting coordination between the two entities, the PAC even scored an explicit endorsement from vice-presidential nominee Mike Pence, as Politico reported. Barrack told federal prosecutors that Manafort saw little distinction between the campaign and PAC, according to the New York Times. Rebuilding America Now ended up raising a respectable $23 million. According to the Times, prosecutors in New York and from Mueller’s team are now investigating whether any of that money came through illegal foreign donations—either directly or via American intermediaries. Per the newspaper, prosecutors have questioned witnesses about encounters Manafort and Barrack had with uber-wealthy Qatari officials during a Mediterranean cruise in the summer of 2016. The campaign apparently went dormant following the November 2016 election. But payments were continuing to be made to PAC staffers into 2018, including a $27,125.23 payment to Gay dated March 5, 2018. In a separate letter sent on June 28, 2018, the FEC asked Rebuilding America Now for itemized receipts for travel reimbursements made to staff that exceed $500. This pot has been updated.